Every time someone I know gets pregnant for the first time, they ask me, “What is an absolute must-have that isn’t on all of the lists?”. My mind could spin through endless wonderful items, but my first answer is always easy and immediate: the NoseFrida. Because when that teeny, tiny nose of your little human gets stuffed up for the first time, you’ll be desperate to clear it. And if you reach for that stupid blue bulb aspirator the hospital sent you home with, you will soon find out how ineffective it is. 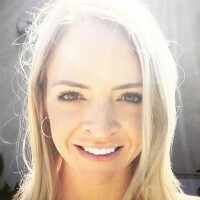 You’ll also find out just how strong and evasive a tiny baby who does not want you swooping in for another nostril sucking can be. The potential bacteria-factory ickiness brewing in that bulb you can’t open up and properly clean out is a whole other Oprah! Never fear though, because the NoseFrida is here to save the day. Instead of being limited to the far-too-quick and far-too-weak suction of a bulb, the NoseFrida is powered by your lungs. Thus, the suction can be as strong and as long as your lungs can manage. (If you’re thinking you can stop right here because you would never get that close to boogers, brace yourself because parenting will put you much closer to a lot of gross things and boogers are near the bottom of the list – so just keep reading) The NoseFrida also does not enter the tip of the nostril like the bulb and thus isn’t as distressing to the baby – and is also easier to perform sneak attacks with when necessary. The design of the NoseFrida also allows you to completely take it apart for a proper cleaning (and the filter that stands between your air and the collection chamber is disposable). 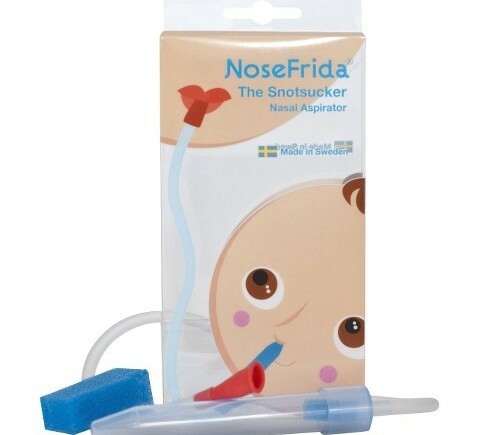 I’ve had a NoseFrida since my oldest’s first cold and have never looked back. I even pack it when traveling just in case someone gets a cold. It’s efficacy and cleanliness just can’t be beat and it makes my kids feel so much better. That makes it invaluable in my book! Go ahead and grab one for your house (get the one with additional filters so you’re never without and add a can of saline nasal mist while you’re at it) and you’ll have everything you need to battle stuffed up little noses.